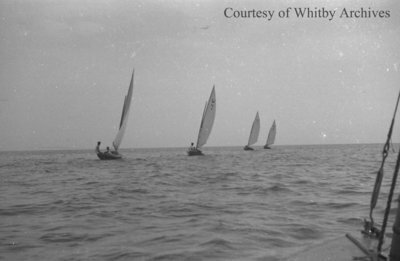 Black and white negative of four sailboats sailing on Lake Ontario. Sailboats on Lake Ontario, c.1937, Marjorie Ruddy. Whitby Archives A2013_040_689B.